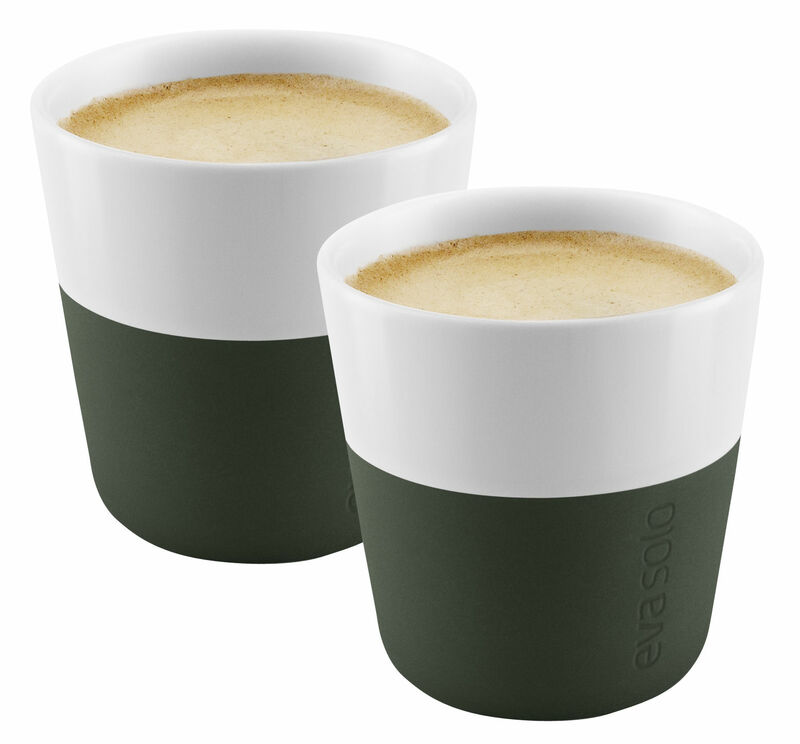 A simple design, concealing an ideal solution for regular drinkers of tea or coffee! 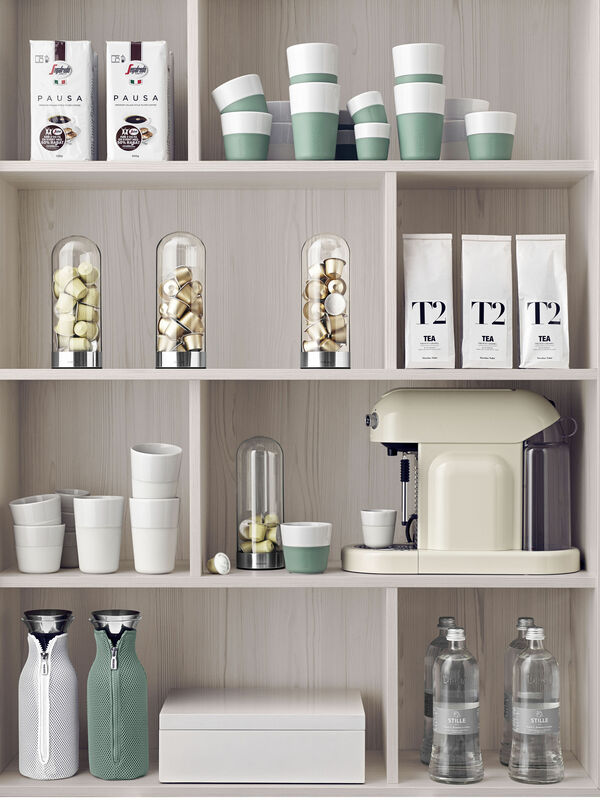 These two 80 ml coffee cups hold precisely the standard amount of coffee delivered by most pod coffee machines. 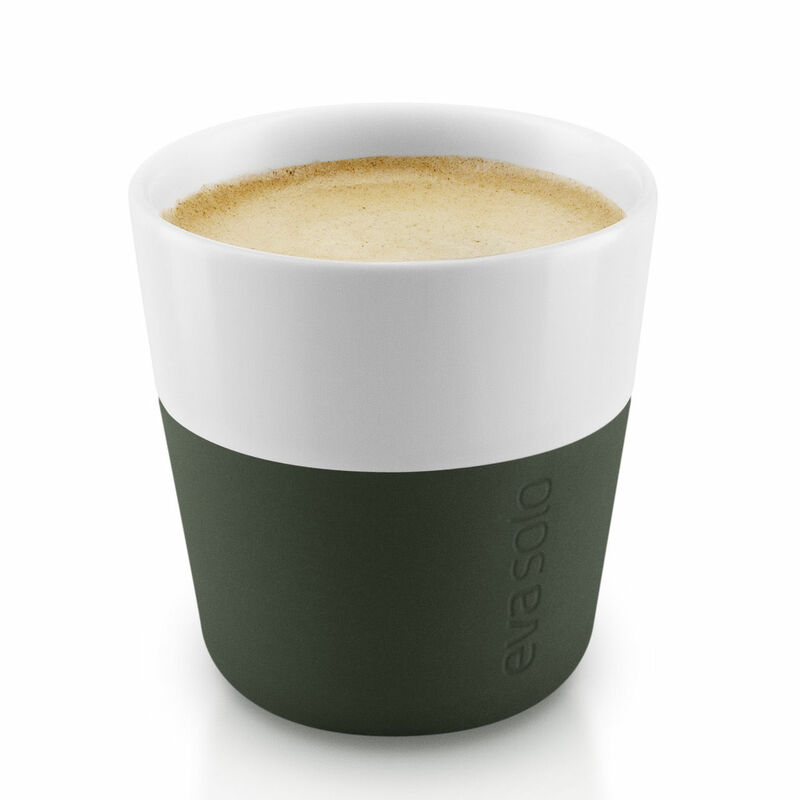 The cups are made of china and have a removable silicone cover to ensure a good grip and prevent burning. 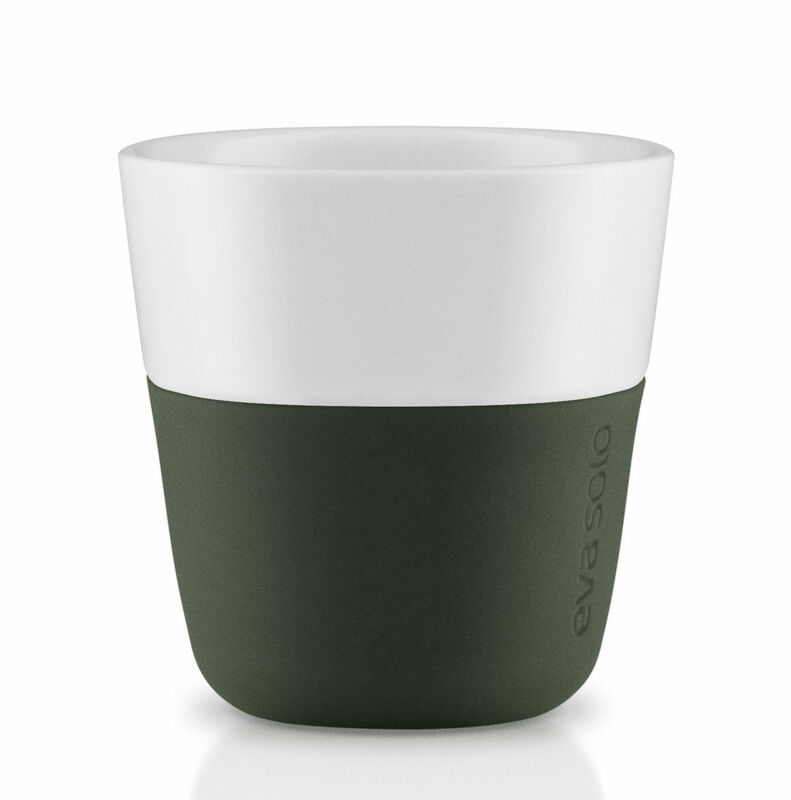 Practical and easy to clean, these cups are dishwasher-safe, provided you remove the silicone cover before washing.